A company behind about two dozen nursing homes in Arkansas is facing increasing scrutiny over the nonprofit status of its facilities, which plaintiffs have dismissed as a ploy to avoid liability in cases alleging improper care. Progressive Eldercare Services Inc. structured many of the nursing homes it operates, including Lake Village Rehabilitation & Care Center, as tax-exempt nonprofits while funneling profits to related for-profit companies, plaintiffs say. “It was not a legitimate charity,” attorney Jacques Balette of Houston wrote in a filing before the Arkansas Court of Appeals. He and Little Rock attorney Bob Edwards represent the family of a woman who died at the nursing home in Lake Village in 2013. The family’s suit attributes the death to poor care. “They have a lot of salacious, wild accusations. That doesn’t make them true at all,” John Ponthie of Lousiania told Arkansas Business last week. Ponthie, an owner of businesses providing contract services to Progressive Eldercare Services facilities, was involved in taking over the operation of the Lake Village home in 2010, and changed it from a for-profit to a nonprofit within months. The nursing home received tax-exempt status from the Internal Revenue Service in 2014. Organizations under section 501(c)3 of the Internal Revenue Code are classified as either public charities or private foundations. Progressive Eldercare Services-Chicot, the legal name of the Lake Village nursing home, last year asked Chicot County Circuit Judge Steven Porch to dismiss the suit filed by Balette and Edwards on the grounds that it is entitled to charitable immunity. Porch ruled in July that a jury would have to decide if PES-Chicot was a charity. Progressive appealed Porch’s decision to the Arkansas Court of Appeals, the fifth time Progessive has appealed nearly identical findings on the question of charitable immunity since 2014. In those cases, the state Court of Appeals affirmed the lower court’s findings that a jury would have to decide that issue. 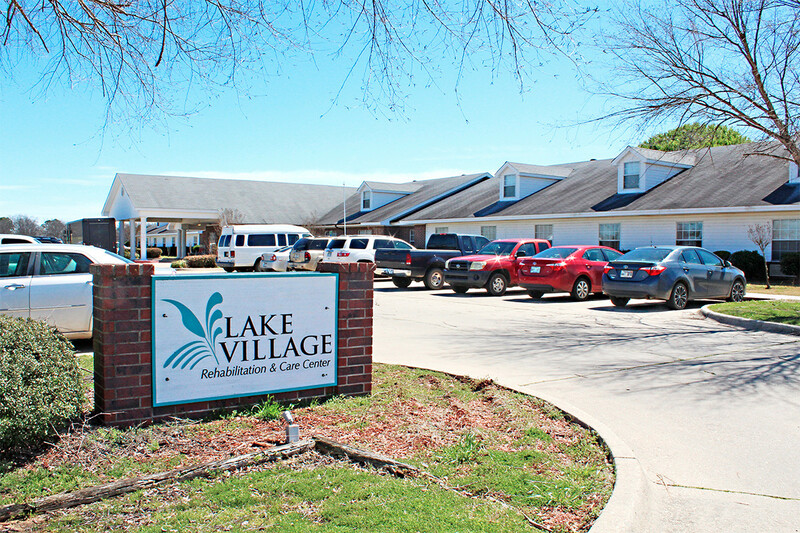 The Lake Village court file at the Arkansas Court of Appeals and the earlier cases offer a peek into the business structure of the nursing home network. Arkansas is one of few states that still allow the charitable immunity defense. “Many states have rolled back very significantly the number of situations in which an organization can claim charitable immunity from civil suits,” said John Colombo, who teaches tax law at the University of Illinois College of Law. Colombo, who isn’t versed on the Progressive cases, said one reason to structure a nursing home as a nonprofit and contract all services to related for-profit entities is to distribute the profits. But the nonprofit can contract with management companies and service providers. “And, of course, since those things are for-profit, the owners can take all the money,” Colombo said. Raising the charitable immunity defense for nursing homes in Arkansas is not a new legal strategy, nor are judicial determinations that it doesn’t apply. In the early 2000s, as negligence lawsuits against nursing homes escalated, the price of liability insurance rose dramatically. A group called Southern Key Investments of Baton Rouge, Louisiana, which managed for-profit nursing homes in Arkansas, feared some of its homes could close because of those rising costs. Southern Key’s accountants and attorneys determined that Arkansas allows charitable immunity, “whereby a charitable institution is exempt from tort liability,” Arkansas Court of Appeals Judge Larry Vaught wrote in a 2013 order involving the company. The nursing homes, which operated as Arkansas Elder Outreach, were converted to nonprofits, and then all their services were contracted out to for-profit companies that had ownership ties to Southern Key. The Court of Appeals affirmed a decision from the Lonoke County Circuit Court denying that one of these nonprofit nursing homes was entitled to charitable immunity. Balette, a lawyer in the Lake Village case, said Progressive Eldercare Services-Chicot has a similar structure. The for-profit companies also have been named as defendants, but haven’t raised the charitable immunity defense. According to Balette, the for-profit entities are owned by John Ponthie; his brother, Ross Ponthie; and a partner, Mark Thompson, all from Lousiania. “Thus, it is apparent that PES-Chicot was created as a shell entity to pass profits off to other related entities in an effort to argue charitable status,” Balette said. Between 2012 and 2014, PES-Chicot paid insurance premiums totalling $1.1 million, or 8% of its revenue, Balette said. Ponthie said the nursing homes haven’t clawed back any of their insurance premiums from the captive carrier. He didn’t have the figures immediately available to know exactly how much has been paid out in claims, “but it’s considerable.” Dossett, PES’ attorney, denied allegations that the nonprofit status is designed to avoid liability. And not all of Progressive’s nursing homes are nonprofits. Dossett said Progressive Eldercare “put a lot of time and effort and money into trying to improve the nursing home culture” at the facilities, and converting to nonprofit structure “could be a tool, in a good way, to change that culture.” The profits from a nonprofit nursing home go back to support the nursing home, he said. Ponthie, who first became attracted to the long-term care industry when he worked at a nursing home as a teenager, said almost every one of Progressive Eldercare Services’ homes came from a failed operator. And operating the nursing homes as a nonprofit gives members of the community a chance to serve on the local boards, he said. Attorneys for both sides hired financial experts to comb through public documents to come up with conclusions on the nursing home’s structure. PES-Chicot hired Richard Urquhart of Little Rock, an inactive certified public accountant, who said the total amounts paid by Lake Village for administrative services, therapy services, direct care and rent “are all in line with the amounts paid by comparable facilities for comparable services (and rent),” according to his February 2018 affidavit, which is filed in the case. The total operating expenses are “reasonable” and are consistent with others in the region, Urquhart said. He also said that Lake Village is paying reasonable, arm-length rates for services to for-profit companies. He reviewed cost reports from Sept. 1, 2010, to June 30, 2016, and found that Lake Village reported nearly $300,000 in uncollectible debt. “This tells me that Lake Village was providing a large amount of free care to residents,” he wrote. The plaintiff’s financial expert viewed the information differently. He also wrote that there was little to no correlation between uncollectable debt and a corporate mission of providing free care. “Bad debt expense happens for a number of reasons, the least of which is because services are provided for free,” he wrote. On Feb. 1, the Arkansas Court of Appeals said it would decide the case based on the record and the briefs. As of Thursday, an opinion in the case hadn’t been issued.